ExpEYES (Experiments for Young Engineers and Scientists) is a science and experimentation platform designed by the PHOENIX project, which forms part of the Inter-University Accelerator Centre (IUAC) in New Delhi, India . ExpEYES is a hardware and software framework that lets you develop science and electronics experiments, demonstrations, and projects without getting too involved in the nitty-gritty details of electronics or computer programming. To sum up the ExpEYES Junior board in a sentence, it essentially converts any Windows PC, any Raspberry Pi, most Linux-powered devices, and most modern Android phones and tablets (with USB On-The-Go capability) into a portable science and electronics laboratory. ExpEYES (Figure 1) provides several analog inputs/outputs with 12-bit resolution, in addition to a host of other features, like wave generation, capacitance measurement, and time interval measurement. The interface is accessible from Python using simple commands, and a Graphical User Interface (GUI) is already available for a large number of experiments on multiple operating systems. The kit also contains other accessories for building science experiments (Figure 2). The box titled "What's In the ExpEYES Junior Kit?" provides a summary of the contents. 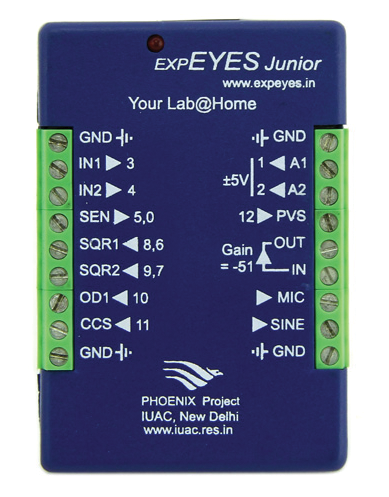 Figure 1: The ExpEYES Junior main board. Figure 2: The ExpEYES Junior kit. The PHOENIX (Physics with Homemade Equipment and Innovative Experiments) project was started in 2005 as a part of IUAC's outreach program, with the objectives of developing affordable laboratory equipment and training teachers to use that equipment in their lesson plans. The design of ExpEYES combines the real-time measurement capability of microcontrollers with the ease and flexibility of the Python programming language for data analysis and visualization. 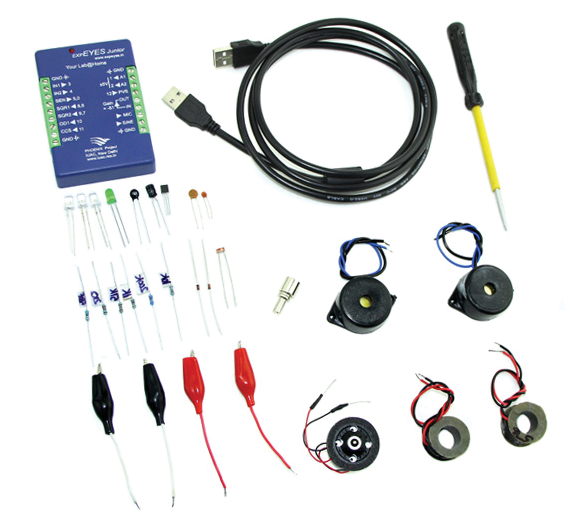 ExpEYES also functions as a piece of test equipment for electronics hobbyists and engineering students. Software for all products from the PHOENIX project are distributed under the GNU General Public License, and the hardware is also all open source (however, it is still likely cheaper to buy the kit from a retailer rather than making one yourself). The team behind ExpEYES consists of volunteers who love science, teaching, and learning. They get no money from the sale of the ExpEYES hardware and are continually improving the extensive array of user manuals and software purely for the benefit of others. The ExpEYES kit is relatively unknown, although it brings together some hugely capable hardware and software at a very attractive price point. The kit even comes with a plethora of documentation (perhaps too much for some people) that describes a large number of interesting experiments. If you pair an ExpEYES kit with the Raspberry Pi instead of a conventional PC, you reduce the price enough that many schools could afford to buy a kit for every science student. Like the Raspberry Pi itself, the ExpEYES Junior is approximately the size of a credit card and relatively thin, so it is easily small enough to fit in a backpack or a pocket. I find this small size quite amazing when you compare it to the size of a more "traditional" oscilloscope! The ExpEYES kit is available to purchase from a number of retailers. You'll find a full list of vendors on the ExpEYES website  . I sell ExpEYES kits through my own shop and get the boards directly from the manufacturer, Shankar Systems. I do not like to shamelessly plug my own shop in my articles; however, if you are struggling to find a source for the ExpEYES kit in your country, we do stock the kits and can ship them worldwide . I am working with the ExpEYES team to make these kits more widely available for purchase and generally to raise awareness of this incredibly capable platform. If you notice that the kit is not available in your area, contact your local Raspberry Pi or open source hardware retailer and ask them about stocking it. 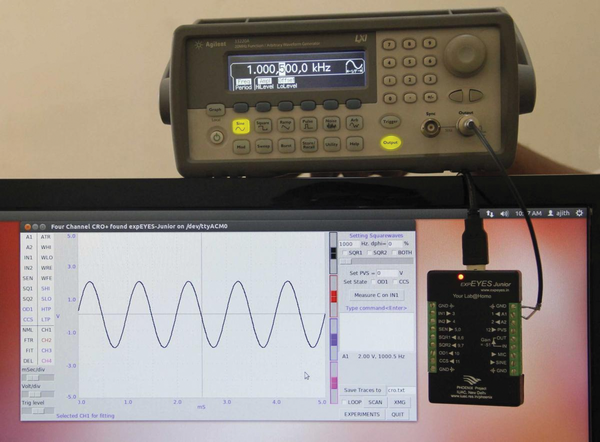 Figure 3 shows the ExpEYES being used to measure the 2V sine wave output from an Agilent arbitrary waveform generator and very accurately displaying the results. Figure 3: Measuring a 2V sine wave. What's in the ExpEYES Junior Kit? 1x ExpEYES Junior main board. 4x crocodile clips with leads. If you need to change the connection to any terminal a number of times during an experiment, it is a lot easier to use these crocodile clips instead of the standard terminals. 2x 3,000-turn coils. 44SWG copper wire coils with inductance 125mH and resistance 550Ohm. You can use these coils for studying electromagnetic induction and inductance, among other things. 2x piezoelectric disks. These disks have a resonant frequency of approximately 3,500Hz and can be energized using the SQR1 and SQR2 terminals on the ExpEYES Junior. The disks are encased in plastic shells that form a cavity to enhance the sound. 1x DC motor. The small motor should be powered by a DC voltage of no more than 3V. 4x magnets. 10mm diameter x 10mm length, 5mm diameter x 10mm length, and two button magnets. 4x LEDs (light-emitting diodes): red, blue, green, and white. 5x capacitors. 47µF, 1µF, 0.1µF, 0.01µF, and 100pF. 6x resistors. 560Ohm, 1kOhm, 2.2kOhm, 10kOhm, 51kOhm, and 200kOhm. 1x screwdriver – for opening/tightening the screws on the terminal blocks. Either of these options should greet you with a window that looks similar to Figure 4, and once you plug in your ExpEYES via a USB connection, you are ready to start experimenting! Figure 4: Starting up the ExpEYES software. Your Raspberry Pi comes with many powerful components, but it doesn't have a built-in clock. If your project needs to keep time, and you don't have a reliable Internet connection for NTP updates, you'll need a real-time clock.